The solar system consists of the sun, moon, Earth, other planets and their moons, meteors, asteroids, and comets. Each body has its own characteristics and features. The distance between planets and sizes of the planets vary greatly. The outer, ―gas planets are very large, and the four inner planets are comparatively small and rocky. A dwarf planet revolves around the sun, and can maintain a nearly round shape as planets do, but it cannot move other objects away from its orbital neighborhood. Gravity is a force that keeps the planets in motion around the sun. Gravity acts everywhere in the universe. 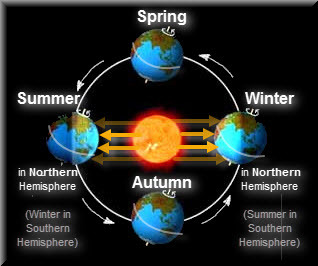 Seasons are caused by a combination of the tilt of Earth on its axis, the curvature of Earth’s surface and, thus, the angle at which sunlight strikes the surface of Earth during its annual revolution around the sun. Earth is a rocky planet, extensively covered with large oceans of liquid water and having frozen ice caps in its polar regions. Earth has a protective atmosphere consisting predominantly of nitrogen and oxygen and has a magnetic field. The atmosphere and the magnetic field help shield Earth’s surface from harmful solar radiation. Scientific evidence indicates that Earth is about 4.5 billion years old. With the development of new technology over the last half-century, our knowledge of the solar system has increased substantially. 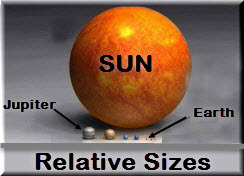 describe the planets and their relative positions from the sun. compare the characteristics of Pluto to the planets and explain its designation as a dwarf planet. explain the role of gravity in the solar system. 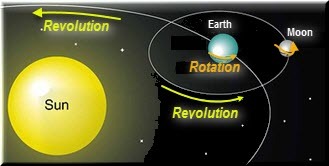 model and describe how Earth’s axial tilt and its annual orbit around the sun cause the seasons. describe the unique characteristics of planet Earth. discuss the relationship between the gravitational pull of the moon and the cycle of tides. compare and contrast the ideas of Ptolemy, Aristotle, Copernicus, and Galileo related to the solar system. create and interpret a timeline highlighting the advancements in solar system exploration over the past half century. This should include information on the first modern rockets, artificial satellites, orbital missions, missions to the moon, Mars robotic explorers, and exploration of the outer planets.